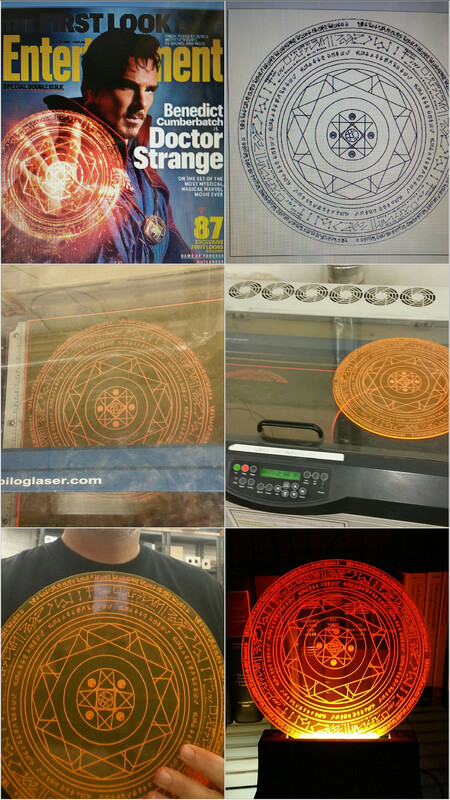 Progress from preview to display of Doctor Strange movie prop replica. Thanks to everyone who volunteers training and care for the laser cutter. My son and I will have a blast taking these to the opening night.